This virtual toolkit includes on-demand video insights from supply chain expert Lora Cecere to teach you how modernizing your supply chain can help you save resources, time and money. 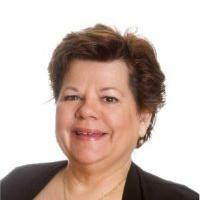 Lora Cecere is the founder of Supply Chain Insights and author of the enterprise software blog Supply Chain Shaman. Her weekly posts are read by 15,000 readers. She also writes a blog for Forbes and is a LinkedIn Influencer. She has 100,000 followers around the globe. Cecere is the co-author of Bricks Matter and the author of Supply Chain Metrics That Matter. As an enterprise strategist, she focuses on the changing face of enterprise technologies. Her research is designed for the early adopter seeking first mover advantage. Rick Davis, Vice President and Global Lead, Office of Data Acquisition and Governance, Kellogg Co.